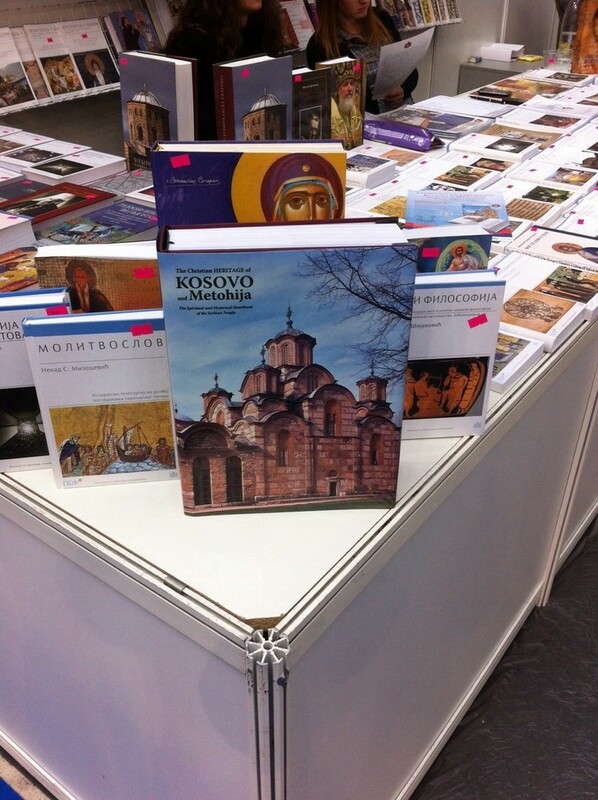 Belgrade, Serbia - From October 26 through November 2, 2014, in the halls of the Belgrade Fair, the 59th International Belgrade Book Fair was held at which the Diocese of Western America was represented with their publishing house Sebastian Press. They presented their newest publications in both Serbian and English: The Life of Bishop Mardarije of Libertyville and Archimandrite Sebastian of Jackson and Selected Writings; Contemporary Ecclesiastical Reminder Regarding the Diaspora by Bishop Atanasije Jevtic; Hamlet's Moblie, by Milan Misic; Time is a Fragment of Eternity, by Archimandrite Justin of Chelije; The Thunderbolt of Ever-Living Fire, Archimandrite Vasileios of Iveron and All Roads Lead to Jackson, by Milina Jovanovic. The Diocese of Western America was especially pleased to present the long-awaited major publication in English: The Christian Heritage of Kosovo and Metohija, the work which follows the Serbian edition of 1987 and includes many texts of well known historians, publicists, artists, as well as translations of priceless historical documents, charters and reports of the tragic fate of the Serbian people of Kosovo and Metohija. Visitors at the Belgarde Book Fair were able to see the first published copy of this book while the formal book promotion will most likely be held at the end of this year.